Joe’s relationship has just gone to pieces. His best friends Eric and Hung therefore resolve to take this picture of misery to a LARP* weekend, which means that people run around in medieval costumes through a forest, and reenact hair-raising story lines. But it gets worse: in an occult ritual, a man-eating succubus is accidentally conjured up, who decimates the number of role players abruptly. Joe, Eric and Hung take on the fight against the monster. 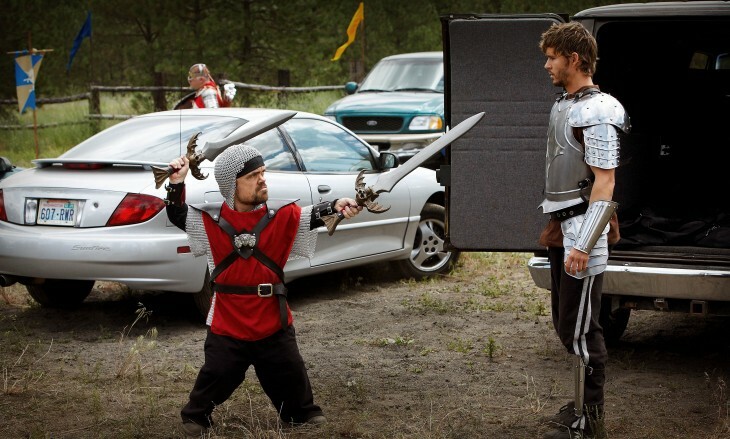 Director Joe Lynch (WRONG TURN 2) has written a witty and pretty wacky love letter to the LARP scene and related Geek-culture. And he who can not only animate a demon tin he old-fashioned analog way, but also rename it after a Uriah Heep song (namely Abonimog), can be sure of our worship. * for the uninitiated: Live Action Role-Playing! Cast Ryan Kwanten, Steve Zahn, Peter Dinklage u.a.